Something magical happens when this dish cooks for a long time—the meat becomes tender, fragrant and the garlic becomes caramelized and mellow. 1. Preheat oven to 400°F. Place 22 cloves of the garlic and 2 tablespoons of the olive oil in an ovenproof pot with tight fitting lid. Place pot in oven to cook for 40 minutes. Remove and set aside until step 5. 2. In a refrigerator container or sealable bag large enough to hold the roast, place the chopped garlic, sugar, 2 more tablespoons of the olive oil, vinegar and 2 tablespoons of the tomato paste. Stir well and add the roast, turning it to coat on all sides. Seal bowl or bag and marinate for at least 3 hours or overnight in the refrigerator. 3. Place a large frying pan over medium heat. Lightly coat the bottom of the pan with 1 tablespoon of the olive oil. Remove the roast from the marinade and pat dry. Discard the marinade. Lightly season the roast with salt and pepper. Brown the meat on all sides, about 5 minutes per side. 4. 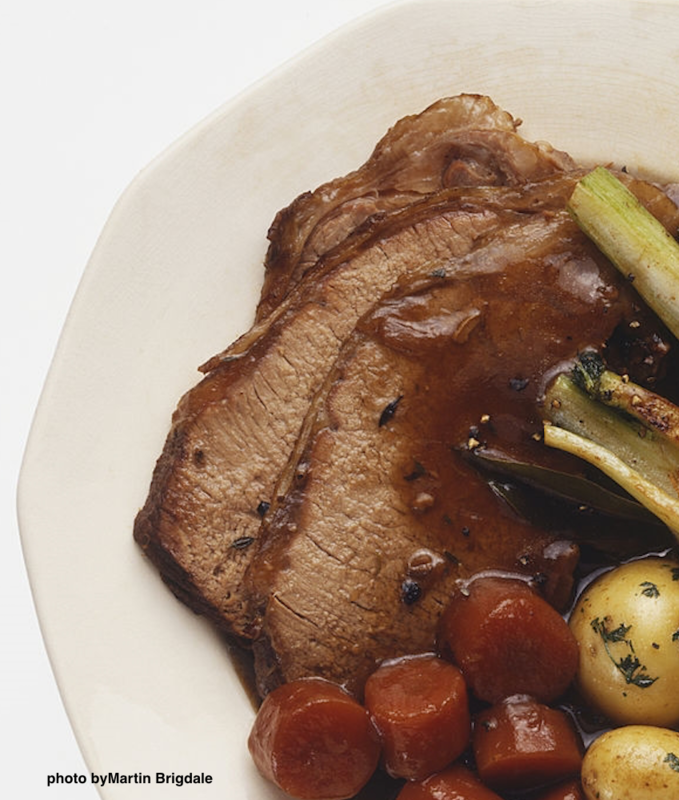 Place the roast and collected juices to the slow cooker. Do not clean the pan. Turn slow cooker to high. 5. To the drippings in the frying pan add the rest of the olive oil and the onions and cook until onions brown, 3 to 5 minutes. Add the chopped garlic and cook for 2 to 3 minutes, until fragrant; do not let the garlic brown. Add the beer, scraping up the browned bits from the bottom of the pan with a wooden spoon or spatula. Transfer the mixture to the slow cooker. 6. Stir in the roasted garlic, the stock, gingersnaps, remaining tomato paste and vegetables if using. Cover and cook on high until the roast is pierced easily with a fork, about 7 to 8 hours. 7. Remove the roast from the slow cooker and keep warm. 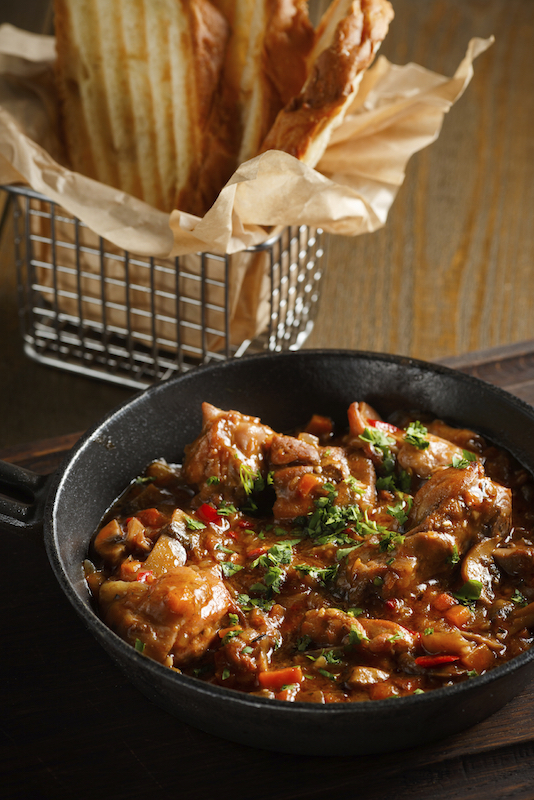 Cut into large chunks, return to the gravy to serve, or serve warm the gravy on the side. Make Ahead: The roast can be stored, covered, in the refrigerator for 3 days, or frozen for 1 month. Thaw before reheating. To reheat, place the meat and gravy in a large pot. Cover and cook on low heat until heated through. Gingerdoodles! 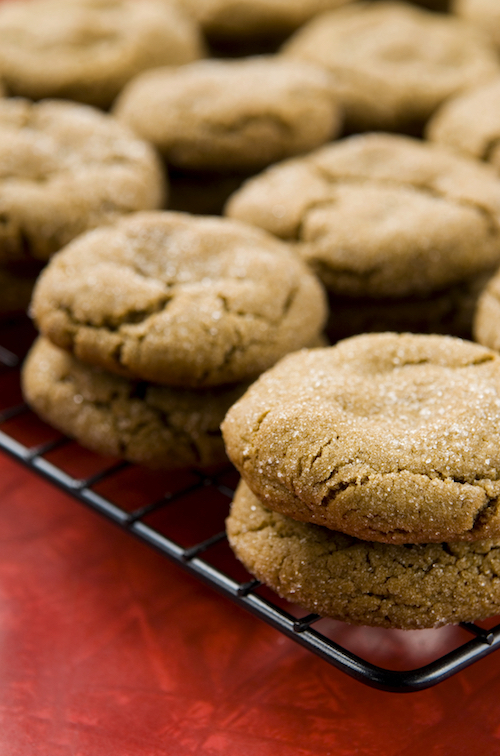 My most requested cookie recipe. Make a batch today. 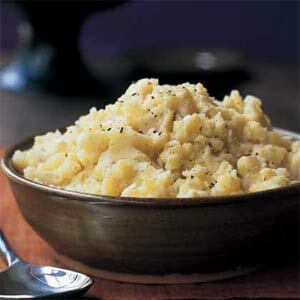 What goes better with pot roast than a mountain of mashed potatoes?